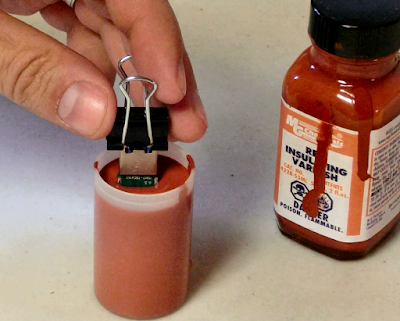 The quest for the World's Toughest USB drive. The VIUD Store is Now Open! So go and check it out and even if you don't decide to buy anything feel free to leave me comments and suggestions! The VIUD's usable capacity is slightly less than the stated capacity which is typical of just about any mass storage device. Part of the overall device's drive space is taken up by the file allocation table which takes more space on larger drives. The other part, however, is just due to the USB board manufacturer using a slightly smaller size than stated. Perhaps this is due to a technical reason or, more likely, an economic one. 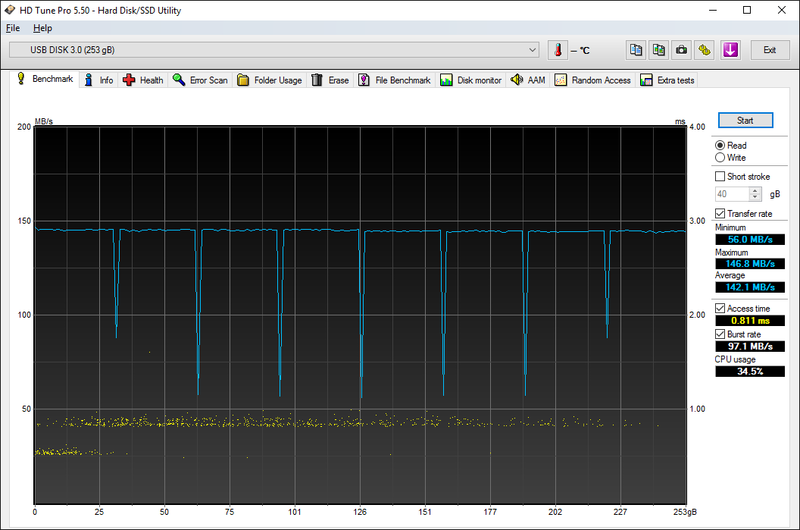 All other VIUD capacities have a roughly flat graph for the blue line but the 256 GB model has much slower read speeds at exactly 32 GB intervals for whatever reason. Finally, the 4GB file copy test is simply the time it takes to copy a 4 GB (4,000,000,000 bytes) file composed of random content to the VIUD and the time it takes to read it back. Due to caching we have to make sure to unplug the VIUD after the write test and then plug it back in to do the read test. Work on creating the VIUD store started last week and I'm already well on my way to getting it finished. I decided to go with Shopify as it seems to be a good sized Canadian online e-commerce system with the features I need. The shots turned out pretty good and I think they can speak for themselves! So my summer vacation is unfortunately over and I'm getting back into the finishing stages of the VIUD preparation. All I can do before actually selling them is to do the coating of all the USB boards I currently have. Through all the various testing I've done, mainly the shock testing, I've narrowed down a good combination of coatings and epoxies that seems to maximize the durability of the USB. I start with two layers of Silicon conformal coating. This is thin, flexible coating that gets into all the small nooks and crannies on the circuit board and even by itself seems to help a lot in minimizing damage caused by shock. Each coat requires at least a day to dry out. Once the two conformal coatings are dry it is time for another two coatings of a thicker and more flexible insulating coating. This gives the USB circuit board a considerably thicker and flexible coat to help absorb even more shock. It also helps prevent epoxy from leaking through the USB connector and making a considerable mess which is difficult and time consuming to clean up. 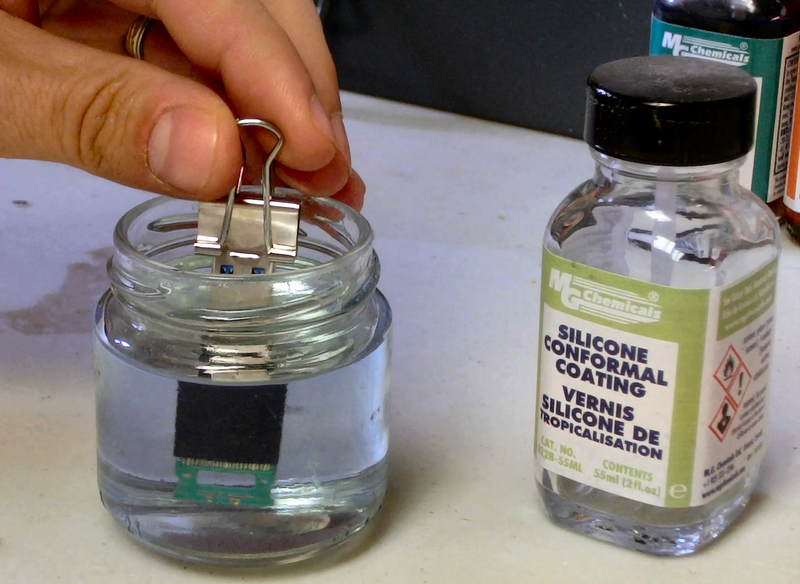 Like the conformal coating each insulating coating takes a day to dry. Next step is to just create an online store and actually start selling things! In the past month or so I've finally managed to complete finishing the Titanium bases and have all bases laser engraved with the VIUD logo and serial number and they're looking great! I also experimented with custom logo/text and it worked out very well but the price point to have it done is unfortunately large enough to make it only worthwhile for larger quantities (say 10 or more). There's not much left to do! I can conformal coat all the USB boards and then find, design and setup an online store. Unfortunately, it looks as though I may be away all summer which will put another delay in the VIUD progress but it won't be long now! Its been a busy month for me in other projects, particularly with the release of the Thieves Guild DLC for Elder Scrolls Online. Besides a little bit of label preparation the only other news to note is that the anodized cases have arrived and they look great! Next steps are to polish the Titanium bases so I can have the VIUD logo and serial number Laser engraved. After that we are ready to start actually selling things! I'm happy to say that the 150 Aluminum VIUD's are finally off to anodizing! The polishing of the bodies went well with no unforeseen issues. The preparation of the plugs took a little longer than expected. Originally I was looking into buying or making a broaching set for squaring the rounded inside corners of the plug. However, I decided to simply file the corners by grinding a small square file to be the exact width of the hole and making a simple handle to hold the file. Filing the Aluminum plugs took some time but was relatively easy and we'll see if the same holds for the Titanium plugs. I wasn't going to polish the plugs but the filing created a sharp edge which was good to get rounded with a quick buffing. Next step was cleaning everything. The buffing process caked a considerable amount of debris in all the nooks and crannies of the parts so I soaked everything for a day in Mineral Spirits and then brushed/wiped each part and left it to dry. There are a large number of potential colors I could use but there is a large minimum charge for the anodizing so we'll start with these four colors and expand in another production run if there is demand for any more. I did another run of impact testing with a new set of USB circuit boards and a modified epoxy filling technique to ensure everything works as expected and there are no premature failures. Fortunately, the VIUDs fared better than my new stone target which broke clean in half while testing the Titanium VIUD at speeds above 200 km/hr. Fortunately I think I'm done with impact testing for now as I don't know what I can actually use for a stone target that won't break on me...perhaps a really thick custom made concrete pad with rebar reinforcement. The Aluminum VIUD managed to survive up to impact speeds of 230 km/hr on the stone target which seems to be the typical failure point for the modified epoxy technique. The Titanium VIUD broke a new record by surviving impact speeds up to 250 km/hr on the stone target which is rather incredible when you think about it let alone experience the violent event itself. I've always been trying to figure the best way to secure the magnets in the cap. Initially I tried superglue which works reasonably well but is a little messy and tends to fail at low to moderate impacts. I then tried denting the metal around the magnet on the inside using metal point punch. This works pretty well in Aluminum but in the much harder Titanium it is very difficult to hit the punch hard enough to secure the magnet but not so hard as to crack or break the magnet. This method also tends to fail at moderate impacts. On the last set of impact tests I tried another method: covering the magnet with a small amount of epoxy (the same stuff I use to fill the base). I didn't think this would work very well as you can only fit about 0.05" (1.3 mm) of epoxy above the magnet and still leave room for the USB connector. Fortunately I was completely wrong and the epoxy didn't start cracking until very high impacts, far surpassing the other two methods I tried. With the help of my lovely assistant I also figured out the details on how the VIUDs are going to be shipped. Originally I was planning on just using small bubble wrap bags from Canada Post but my wife found a better idea of small cardboard boxes which ended up being a little bit cheaper and looks/works better as well. While I'm waiting for the Aluminum parts to be anodized I can start finishing the parts for the 100 Titanium VIUDs. I'm also working on getting the details sorted out for the Laser marking.